Yes, this rare art specimen symbolizes pure LOVE Sensation Spirit Divine. 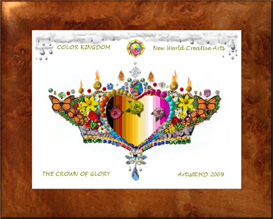 In a Divine Digital Design that forms a pryramid gracefully adorned in precious gemstones, jewels, gold nuggets-coins, in a heavenly blue sky of diamonds and ocean of crystals. Enriching the viewers living and working environments. 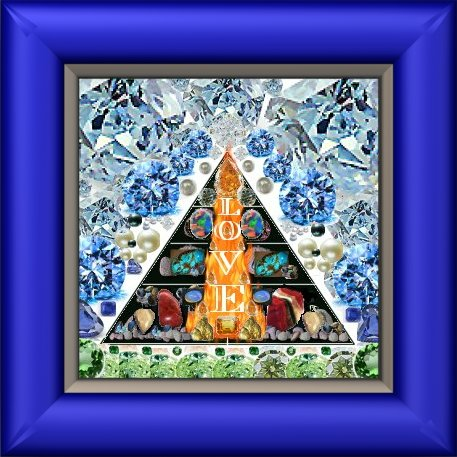 Yes, this rare art specimen symbolizes pure LOVE Sensation Spirit Divine. In a Divine Digital Design that forms a pryramid gracefully adorned in precious gemstones, jewels, gold nuggets-coins, in a heavenly blue sky of diamonds and ocean of crystals.